Click on an Image of a Thermographic Camera below to find out more on your required application. An Extensive Range of Thermal Imaging Cameras to suit your application. License Free Software for Thermal Imaging Cameras. All of the PI infrared cameras offer fully radiometric video recording and snapshot functions through our free comprehensive software package PIX Connect (previously PI Connect). The software will run on any Windows PC including XP, Vista, 7 and 8 and is provided completely free of charge with your camera. Future updates are also provided for free. PIX Connect is leading the way in terms of thermal analysis software and is fully configurable for your application to provide you with the data you need when you need it. Why choose Optris Thermal Imaging Cameras? Optris’ infrared cameras are fully radiometric stationary thermographic systems with an excellent price-performance ratio. The thermographic camera are connected to a PC via USB and they are immediately ready to be used. Temperature data is displayed through the license-free analysis software. Just recently, Optris have introduced a new low cost thermal heat camera in the Xi range. The Xi series is a fusion of a rugged, compact pyrometer and a modern small thermal camera. Thanks to analog and digital outputs as well as the option to process up to nine freely definable measuring areas using an external process interface, the Xi camera is perfectly suited for OEM applications. Below is some further information on the range offered. All Optris IR thermal imaging cameras have the same innovative design at their core. 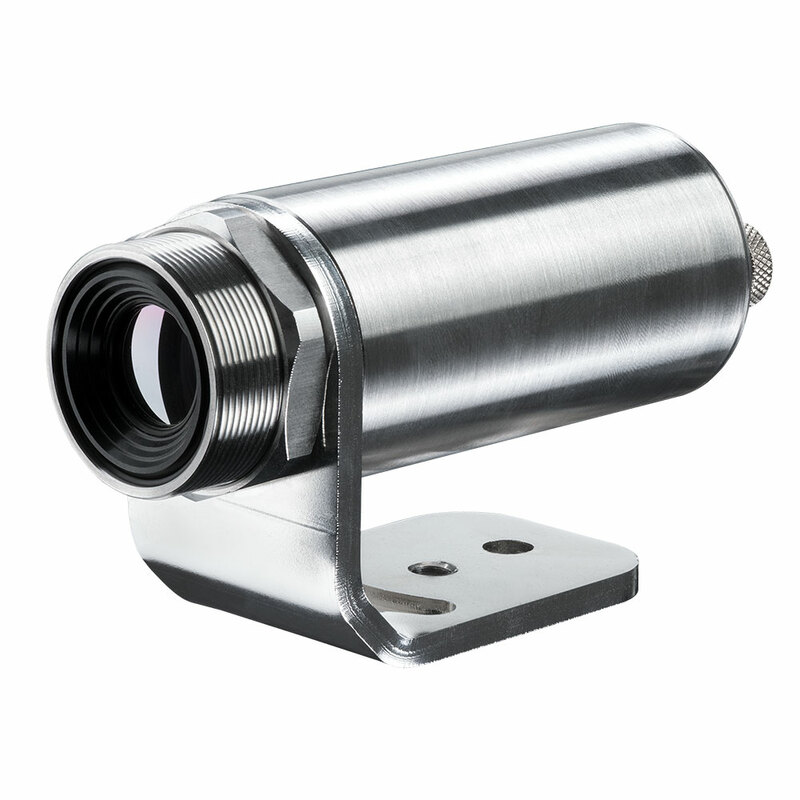 The main focus is on miniature ruggedised cameras suitable for use in industrial production and R&D environments where other cameras would not be suitable. All of our cameras are housed in an IP67 aluminium body which is designed to be as small as possible. Our largest industrial thermal imaging camera measures just 56 x 46 x 90mm including the lens and weighs 320g. The complete range is also intended to be easy to use with Plug-and-Play USB functionality. With fully featured license free software included with every USB thermal camera you can be up and running extremely quickly. Every thermal camera in the range is fully radiometric as standard, temperature is measured at every pixel on every frame. What’s more, this radiometric data is stored with your still images or video recordings, available for recall at any time in the future. With the capability of playing back videos at reduced speed, you can now see every detail of your process like never before. The temperature range is not limited either. All Optris thermal imagers will measure between -20 and 900°C out of the box. For special applications our PI450 G7 and PI640 G7 cameras for glass processes will measure up to 1500°C as standard and our PI 1M and 05M cameras for high temperature metals will measure up to 2000°C as standard. No expensive options required! To operate in the most demanding of applications, our cameras are supported by a full range of accessories which allow operation in places you really would not expect. Ambient temperatures of up to 315°C are not an issue. Dusty environments are handled with ease. Outdoor conditions are dealt with too. The Optris PI camera can even work in high pressure environments such as composite material autoclaves. Networking of the thermal cameras is possible through Ethernet conversion. Each of the cameras in the range possesses different features and we are sure to have a thermal imaging camera to fit your requirements. The Compact small thermal camera and the Precision Line thermographic imaging camera for all applications. Which one is yours? With optris PI thermal imagers, temperature distributions on surfaces can be captured precisely within a millisecond interval. The newly developed optris Xi 80 combines the benefits of infrared cameras and infrared thermometers. A full 80×80 thermal image eliminates the hunt for the hot spot and tedious positioning required with single spot temperature sensors. The integrated spot finder function will identify the hottest (or coldest) spot in the image and automatically communicate these measurements without an external PC. The newly developed optris Xi 400 combines the benefits of a robust, compact pyrometer and an advanced IR camera. The 80 Hz frame rate allows for the monitoring of fast thermal processes, even including a line-scan function. The spot finder IR camera has an optical resolution of 382 x 288 pixels and comes with an extensive ready-to-use package – including a versatile image processing software. Interested in a Thermal Imaging Camera for your application? 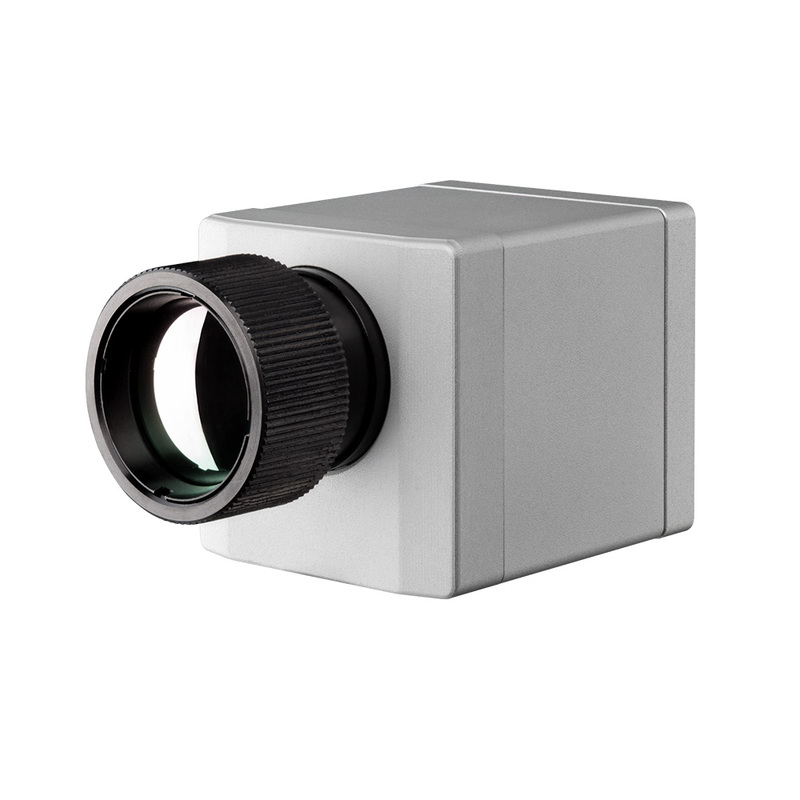 The small infrared camera optris PI 160 is the basic model of the award-winning optris PI series. It allows for exact measurements from an object size of 1.5 mm on and is, due to its measurement speed of 120 Hz, perfectly suited for employment in research and development, test stations, and process automation as well as for portable measurement tasks. With a suitable adaptor you could use this as a handheld thermal imaging camera if required. The thermographic imaging camera standard version offers a temperature range from -20°C up to 900°C, which can be optionally expanded to 1500°C. It is available with four alternative optics and the software optris PIX Connectoffers video and snapshot recordings, extensive analyses (offline, online) and is equipped with an integrated line scan camera function. The infrared thermal camera optris PI 400 / PI 450 are the smallest thermographic cameras in their class. Being equipped with a measurement speed of 80 Hz and an optical resolution of 382 x 288 pixels they provide real-time thermographic images in high speed. The IR camera PI 450 is, due to its thermal sensitivity of 40 mK, specifically suited for detection of slightest temperature differences, making it indispensable in quality control of products and in medical prevention. 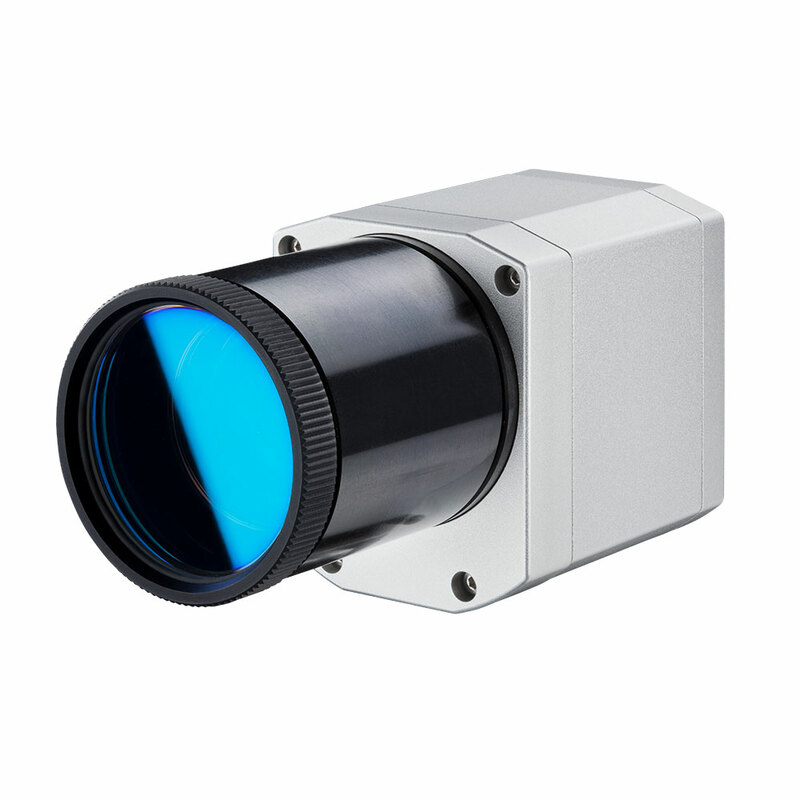 The compact and high-performance infrared imaging camera offer a temperature range of -20°C up to 900°C, with the model optris PI 400 being optionally upgradeable up to 1,500°C. It can be delivered with exchangeable optics, industrial thermal imager equipment and it comes with an extensive license-free thermography software package. 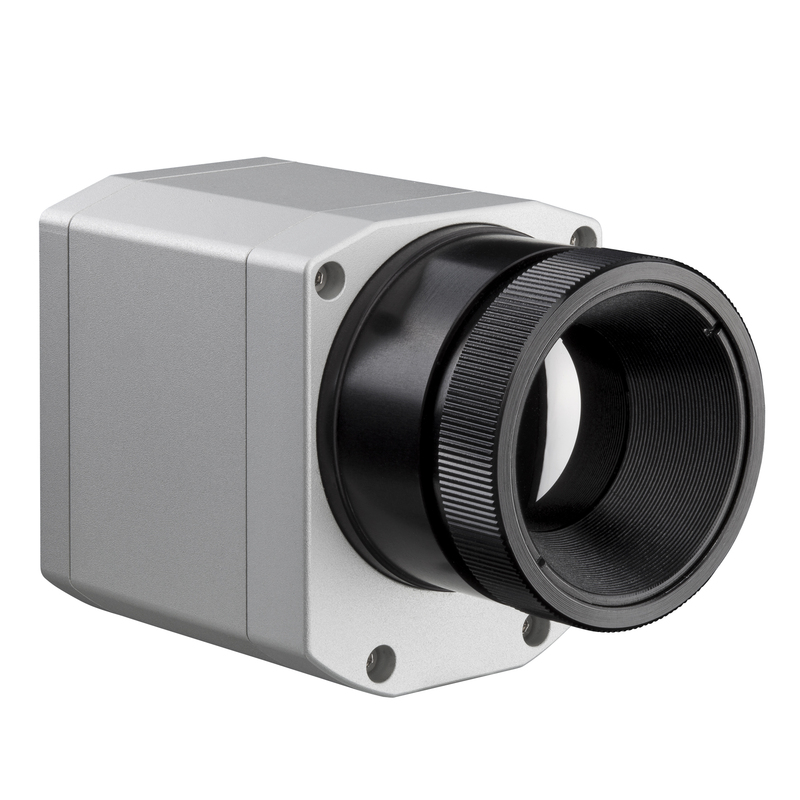 The industrial thermal imaging camera optris® PI 640 is the smallest measuring VGA infrared camera worldwide. With an optical resolution of 640×480 pixels, the PI 640 delivers pin-sharp radiometric pictures and videos in real time. It can be delivered with industrial thermal imager equipment and it comes with an extensive license-free thermography professional software package. The newly developed thermal camera uk optris® PI 1M is especially suited for temperature measurements of metals, as these exhibit a distinctly higher emissivity at the short measurement wavelength of 1μm than at measurements in the previously conventional wavelength range of 8-14 μm. In parallel with the visualisation of a thermal process, the high-performance sensor electronics allow a short reaction time of 1ms for the displaying of the temperature information of the centre pixel.